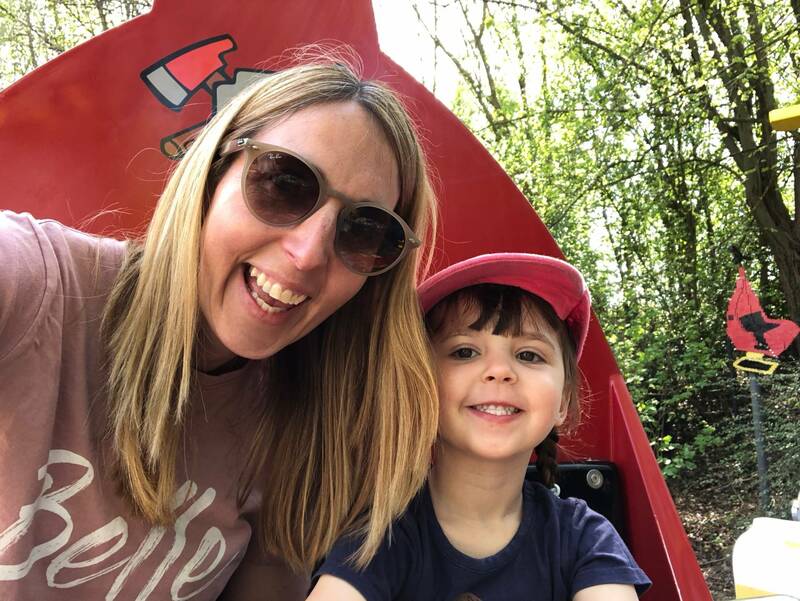 The first time I went to Legoland was the day before Alice started school and we had one final mummy and daughter day out together. 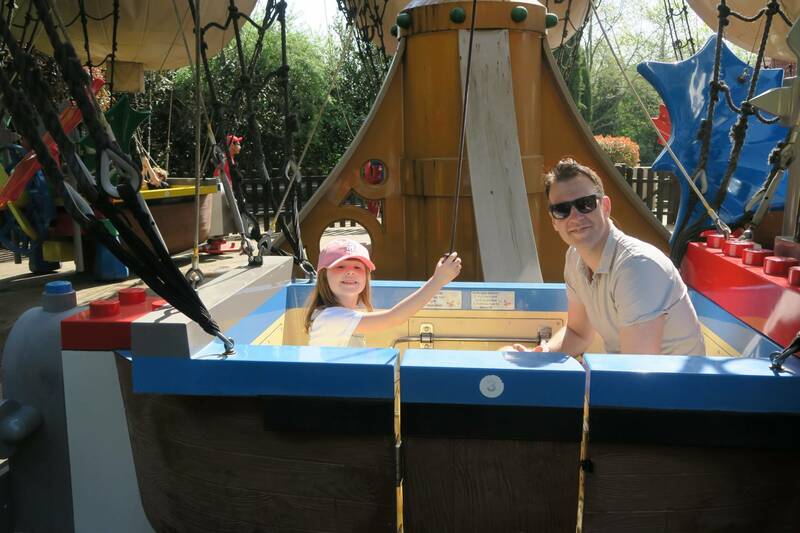 When we became Merlin Ambassadors, Alice couldn’t wait to go back and show Daddy and Holly all the rides. 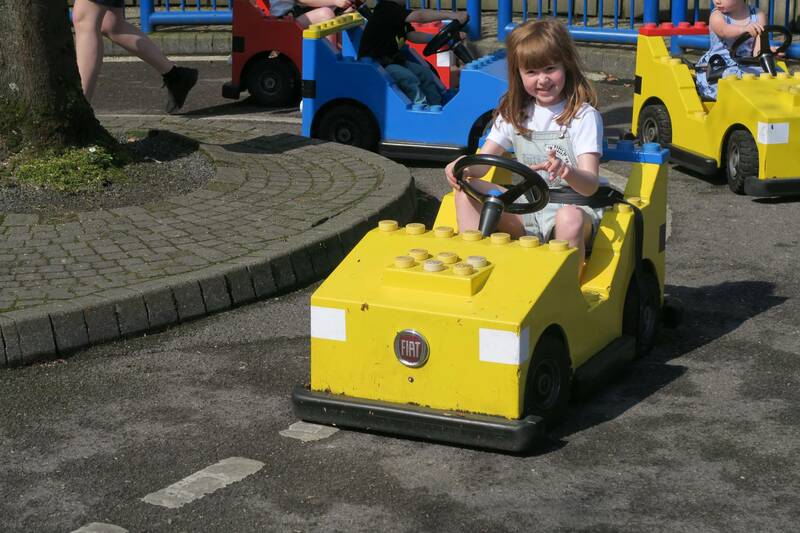 We remembered from last time to head straight to the Lego Learner cars, as these are popular and can get busy. We were lucky and the girls got straight on. Before they go in the cars, they have a little driving lesson talk and then off they go. 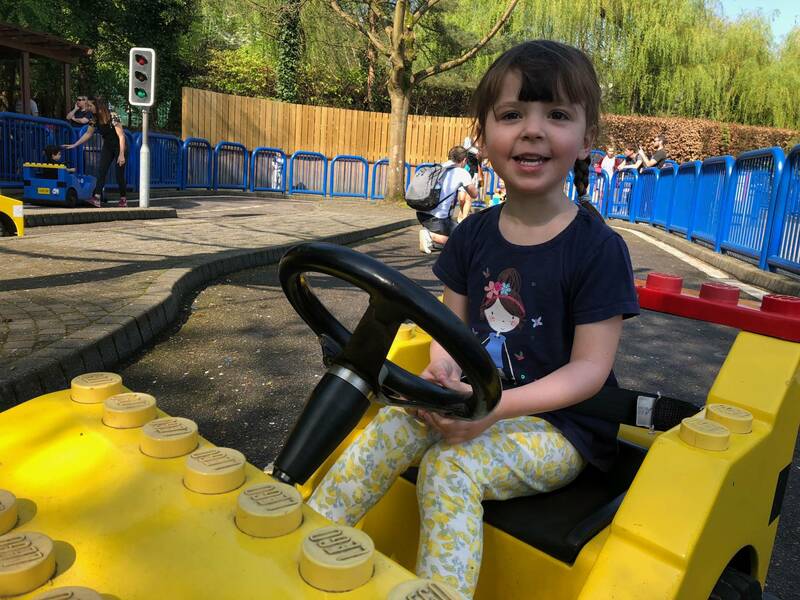 I don’t think Holly could believe she was able to drive the car without mummy or daddy. Once they’ve finished they are given a driving licence, which just makes their day. Such a simple concept, but means so much when you are 3 and 5 years old. Alice and Andy then went to Balloon School. Holly didn’t fancy it and was happy to watch her sister. 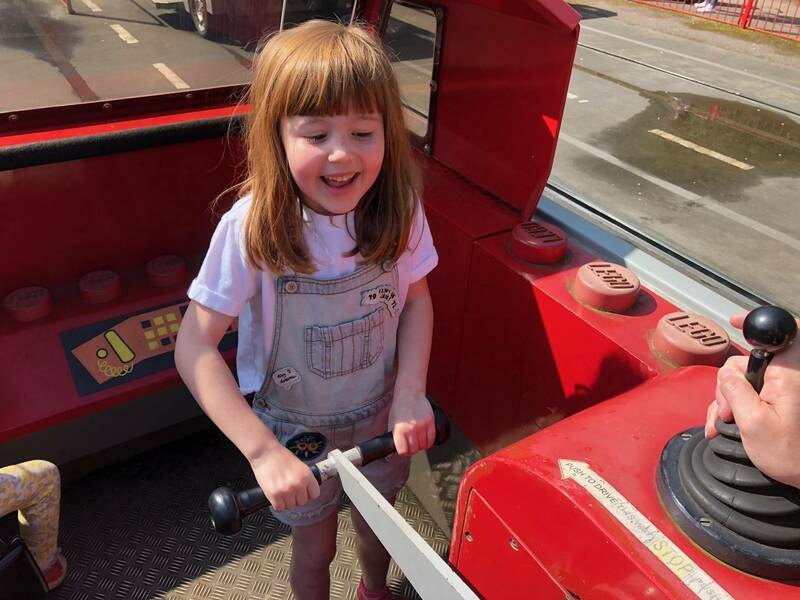 Alice loved it, as you get to control the balloon, by pulling the cord in the middle as if you were flying a real hot air balloon. Holly had spotted the Fire Academy next to it and we headed over next. This is great fun for all the family. You are given your own fire engine and you have to make it move, by pumping up and down on these handles. It was quite hard work! Holly was the driver in the front. 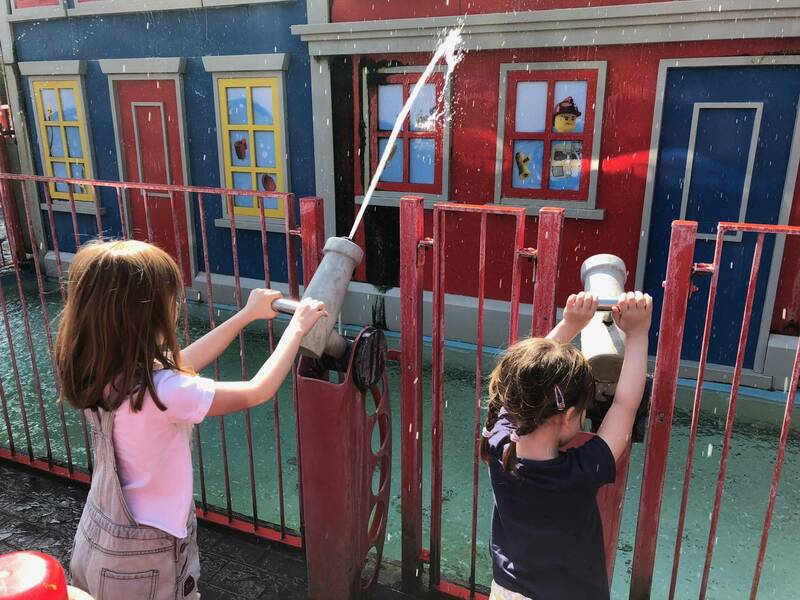 Once we got to the burning building, Andy and I had to pump the water and the girls had the hose pipes to put the fire out. Then we had to get back in our fire engine and take it back. The girls loved it and Andy and I needed a rest afterwards! 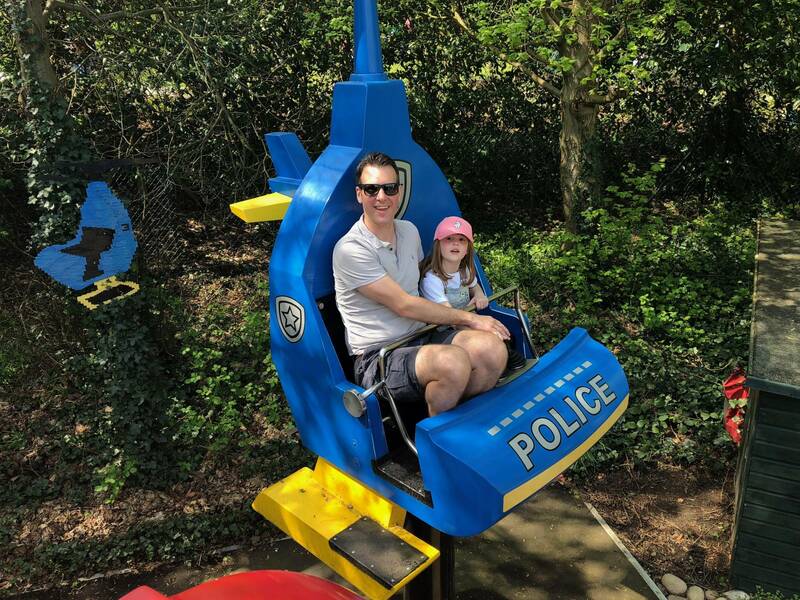 As we made our way to another part of Legoland Alice spotted these swings and couldn’t wait to go on. We were really lucky that all day we hardly had to queue on any of the rides. Holly wanted to watch her sister to begin with. Then after seeing Alice do it, she decided she wanted to have a go. With there being no queue, Alice stayed on for a second go with Holly. They loved it! It was then time for lunch and we went to the pizza and pasta buffet restaurant. It’s really great value with drinks and ice cream included in the price. 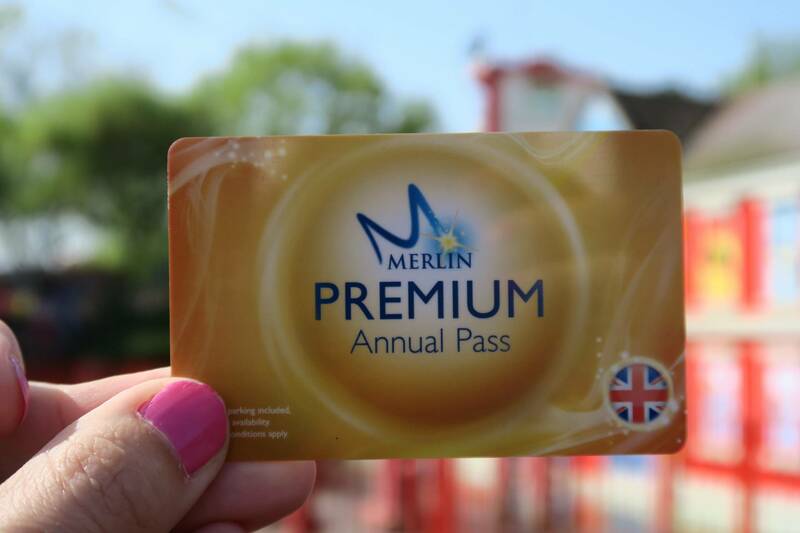 Plus as premium Merlin card holders you receive 20% off. After lunch we went over to Duplo Valley and the girls went on the Duplo train on their own and had a play in the playground. We then headed onto Duplo Valley Airport, Andy and Alice were the police and Holly and I were the fire engine. The best part is they get to control them with 2 joysticks to move you up or down and the other one round and round. 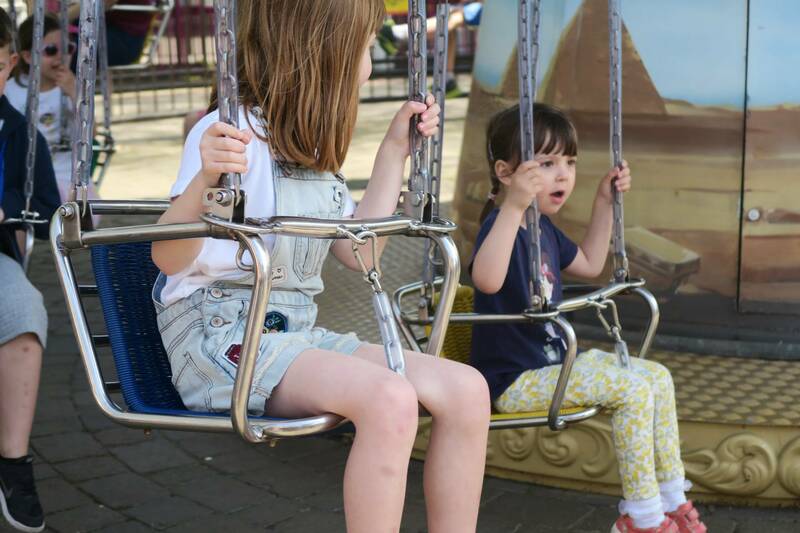 The girls were having lots of fun on this ride, they didn’t want it to end. One of our favourite rides was Fairytale Brook. 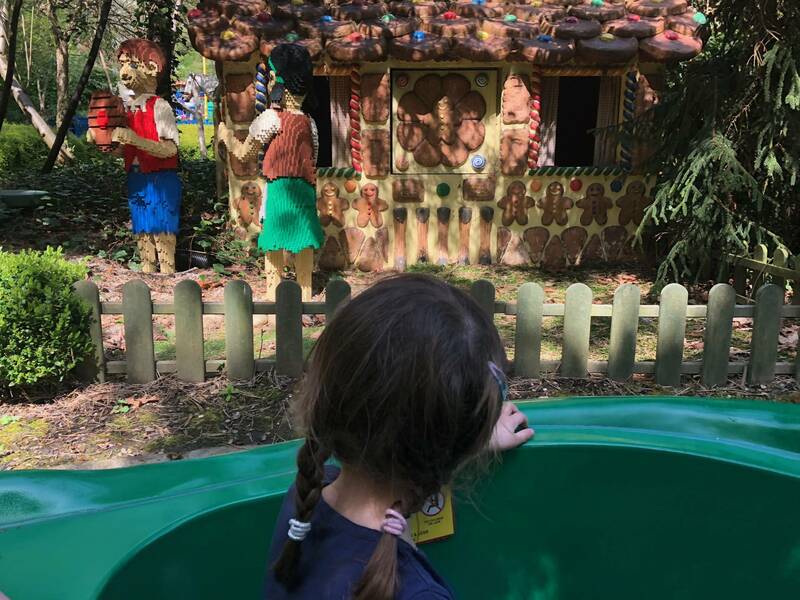 It is a lovely boat ride that takes you through all the fairy stories, the girls loved spotting all the fairy book stories that they love. 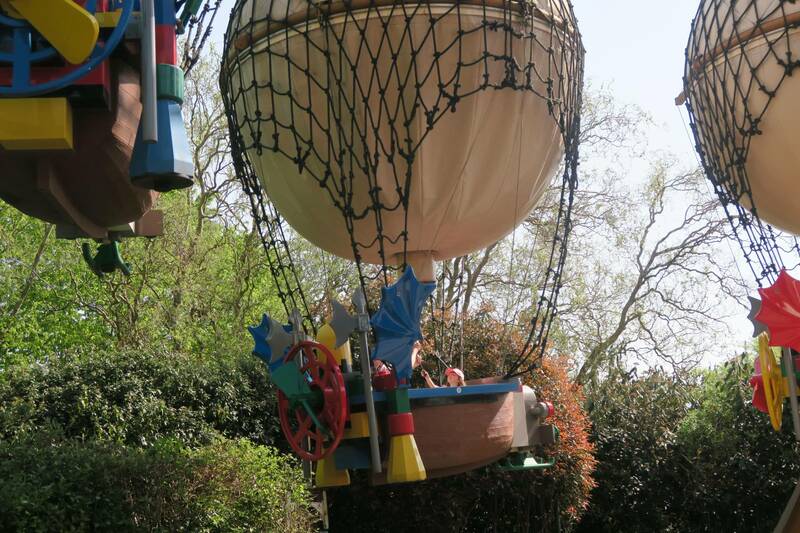 It was then time for the Pirate Show and last time Alice loved it. They do a new show every year and we couldn’t wait to watch it. We always go to the show time in the afternoon and have an ice cream while we watch it. They really do put on a great show and it’s one of the highlights of the day. Not to be missed! 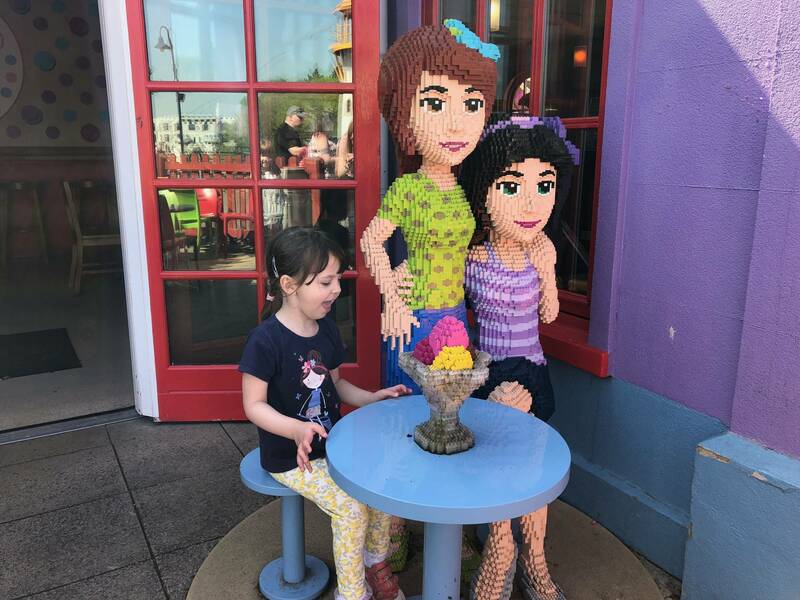 While we were at Heartlake City the girls got to see the Lego Friend girls. They love watching the TV show and to see them I think they were a bit overwhelmed. 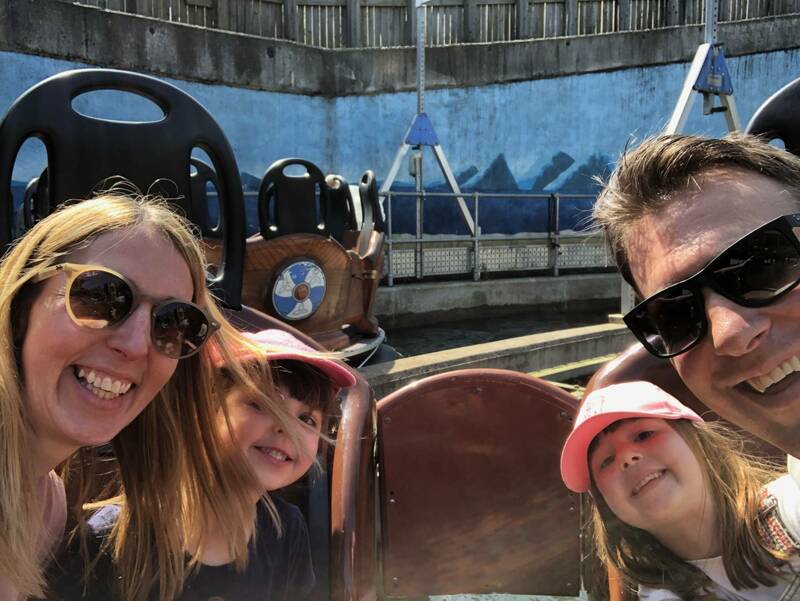 A ride that we all love as a family is the Vikings River Splash and I was really surprised that even this ride didn’t have too much of a queue. Whilst we were over in the Land of the Vikings we went on the Spinning Spider too, which was fast and they loved it. 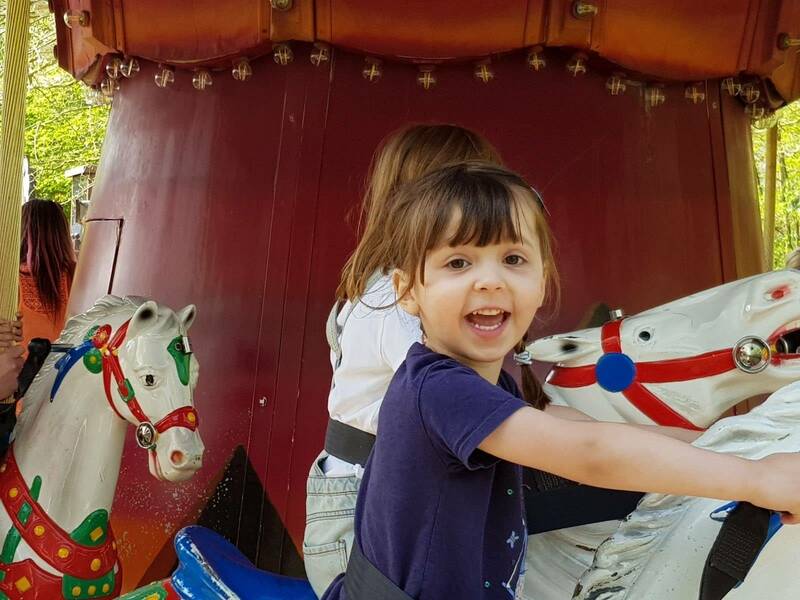 It was coming to the end of our day at Legoland and the girls had one last ride on the carousel, which they always love. 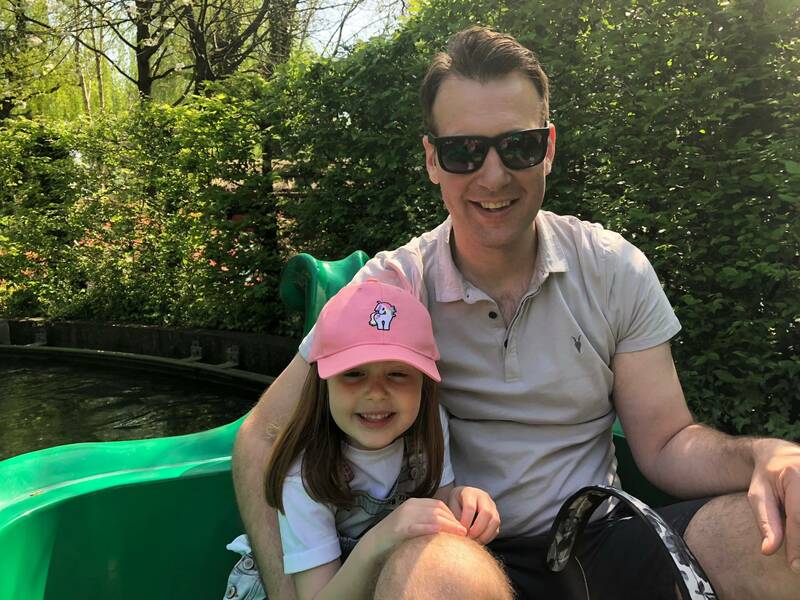 We had a brilliant day at Legoland, the sun came out, we were really lucky that the queues were short and we managed to get on so many rides. We left with smiles on our faces and lots of memories to last us forever. It won’t be our last trip to Legoland this year, I am sure about that. 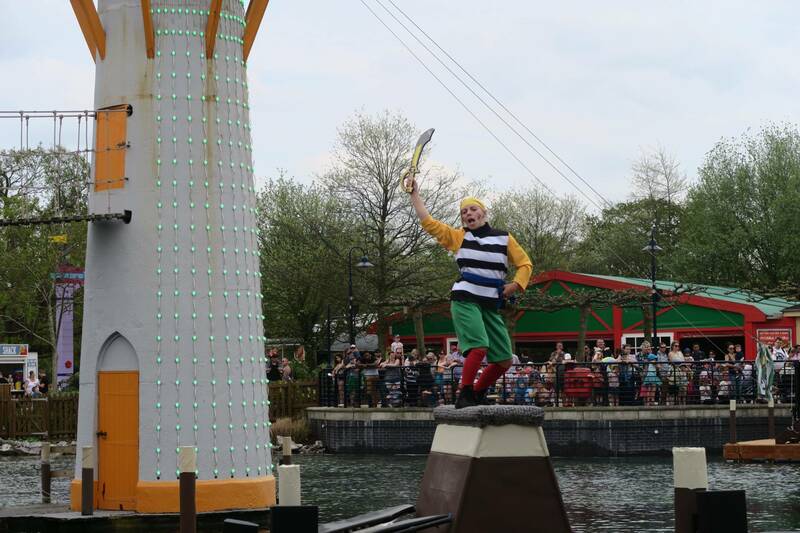 You know how much I love Legoland! We’ve not been yet this year though, I can’t wait to see this year’s pirate show. 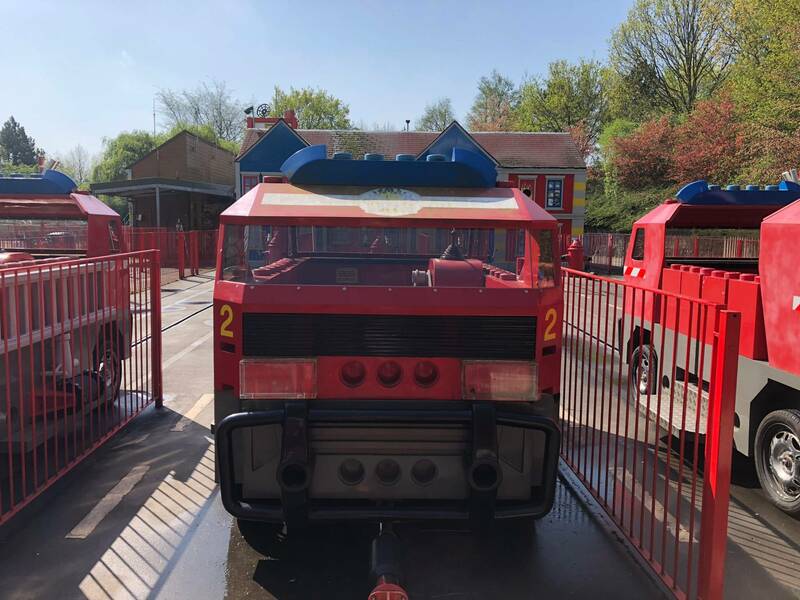 Funny story about Max and the learner drivers though – he went on once and absolutely loved it and drove like a pro, I was so proud of him! But then the next time he had an absolute meltdown about it, refusing to go on. We tried a few times throughout the day, and eventually worked out that he wanted to go on the older kids one, because he’d got his drivers license now, so he didn’t need to do the learner one anymore! Once I understood that, it made perfect sense! 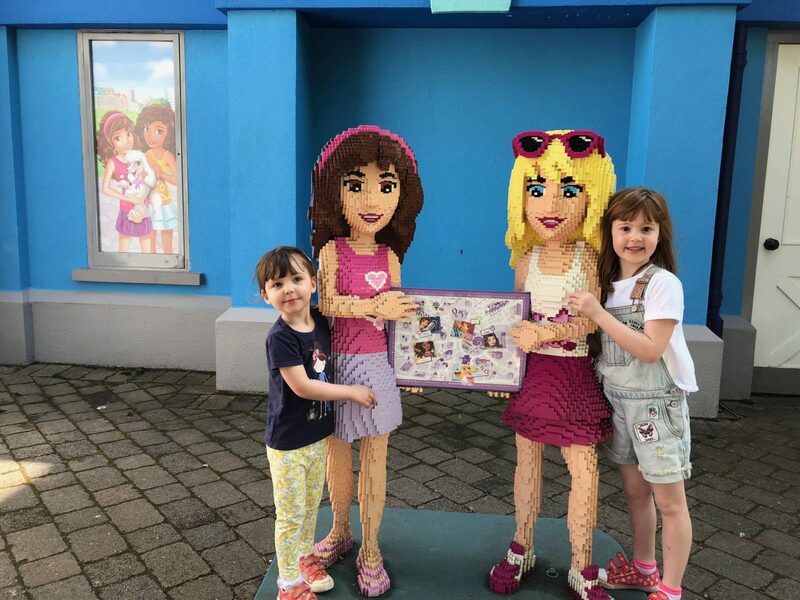 Legoland is awesome! 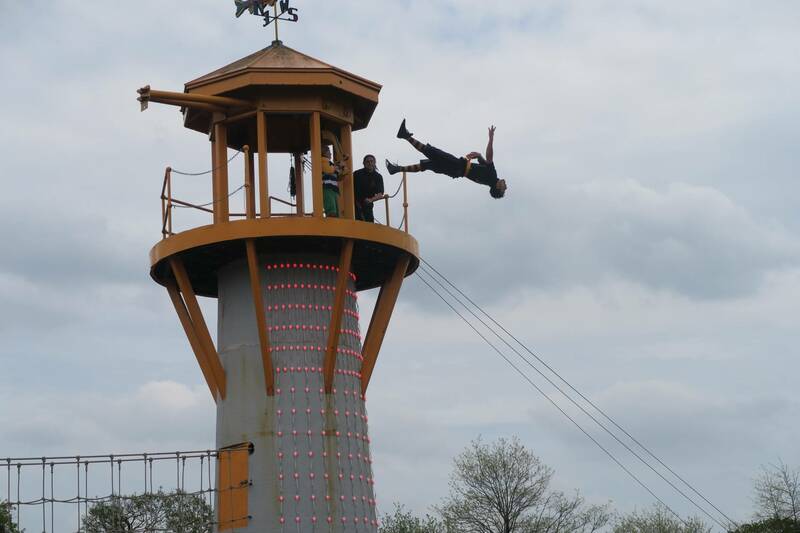 We went about 3 years ago as my brother’s friend used to work as a pirate in the stunt show. 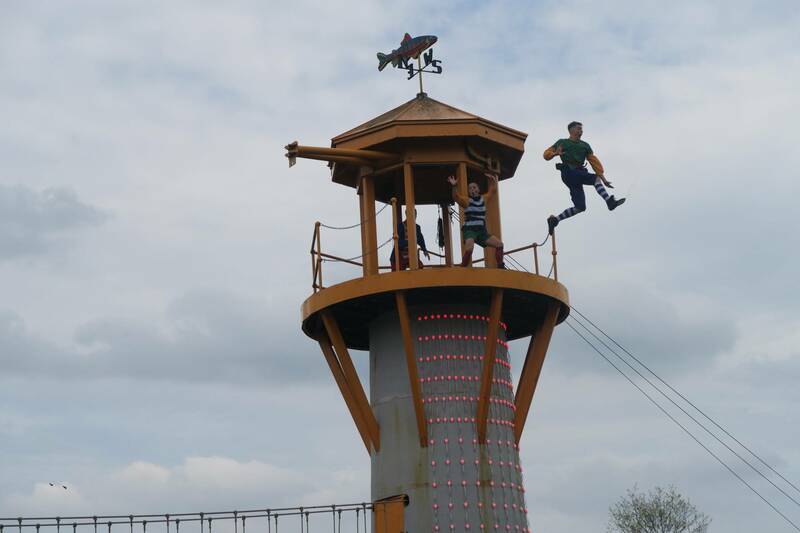 Finley is going there during the half term with his friend – now that he is 6 I am sure he will love it even more! Oh this looks amazing! Would really love to go! Your photos are lovely! 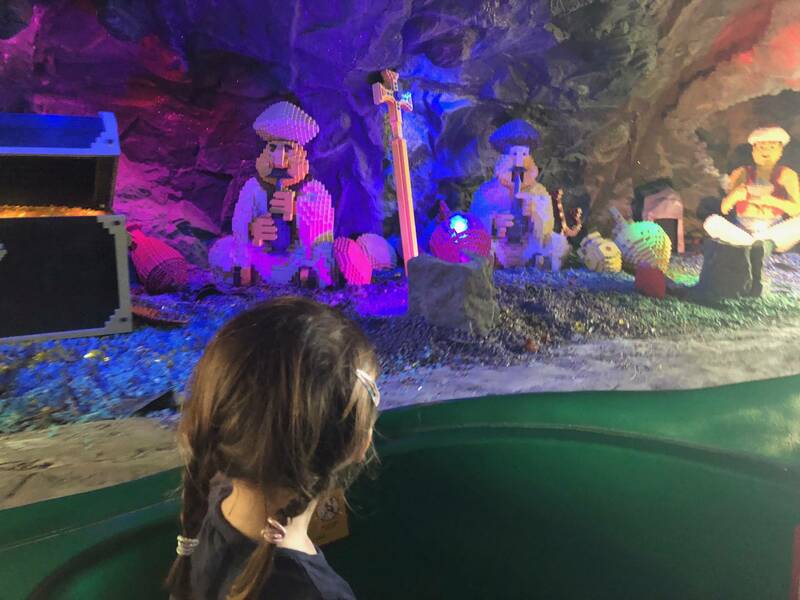 We went to Lego Land last year and your post has definitely reminded me how much we loved it!!! Such a great time. As you know we are a little far from here, but it is a great excuse to have a little weekend away. We plan to go back in the Summer! 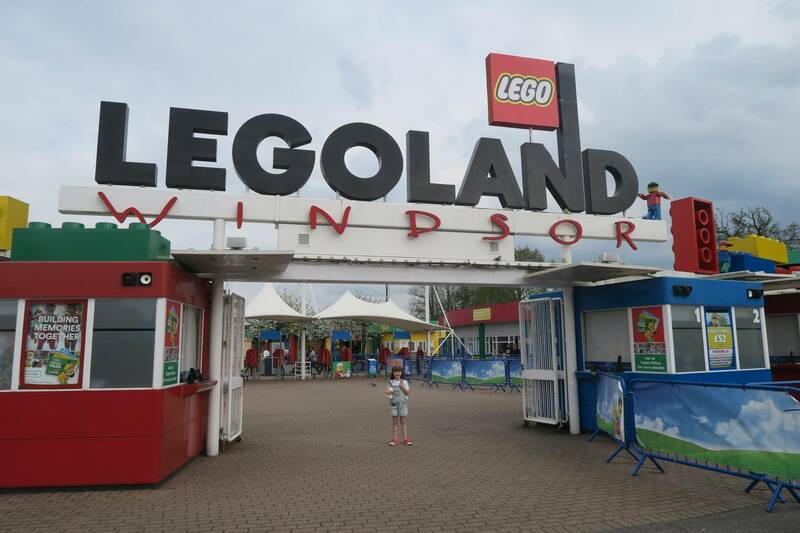 I can’t believe that we live so close to Legoland but I’ve never been there! I think it’s just a bit out of our price range at the moment with the impending arrival of baby number two. Having said that, the price does seem worth it for all the cool things there are to do.